The Romans were fond of amulets. They appear in a number of types, including the fascina which was used to ward off charms or attempts to fascinate the victim. 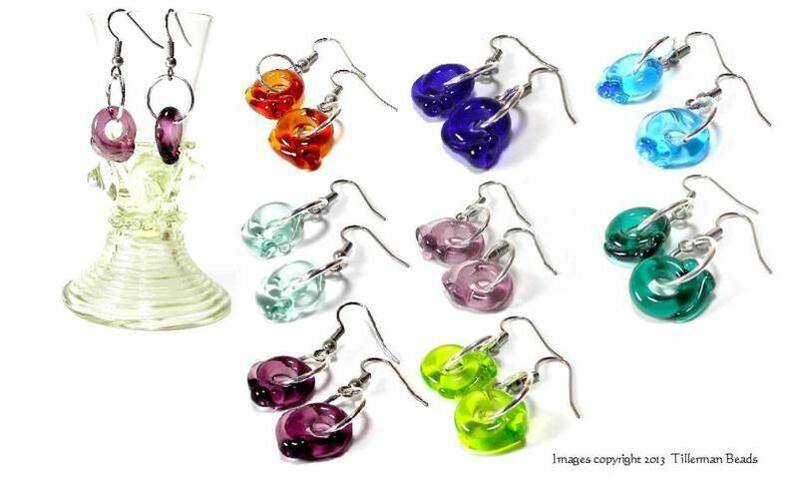 The glass beads are handmade, with a choice of earwires. The ones shown in the photograph are surgical steel, but can be replaced with silver-plated earwires at no additional cost or sterling silver earwires for an additional £4. The earrings are held by sturdy silver-plated copper jumprings. See our other listings for earrings with gold findings. Please choose your colour preference and earwire from the drop-down menus below.